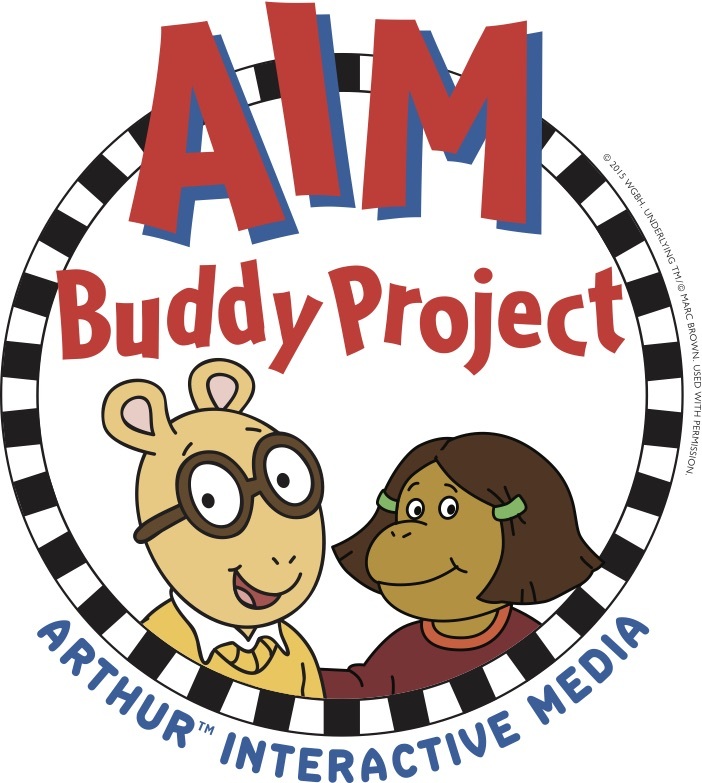 What is the Arthur Interactive Media Buddy Project? The AIM Buddy Project is an innovative program designed to promote social, emotional, and character development in elementary school students. The program uses cross-grade buddies and interactive technology to help students explore multiple perspectives and situations, discuss difficult topics, and consider the impact of behaviors and feelings. AIM uses online comics and games in place of traditional story books. Each interactive feature is based on an episode of PBS’s popular children’s series, ARTHUR, and allows buddy pairs to explore and discuss one of five topics––empathy, honesty, generosity, forgiveness, and learning from others. The AIM digital Teacher’s Guide includes a program roadmap, how-to information, buddy training, key vocabulary lists, and other tools for fostering reflective discussion and implementing a successful program. Five short videos (Welcome to AIM!, About the Topics, Pairing the Buddies, Helpful Hints, and Training the Buddies) accompany the Teacher Guide and feature classroom teachers who have piloted the AIM Buddy Project in their classrooms. Spring 2014: The pilot program tested how students engaged with the first interactive feature “So Funny I Forgot to Laugh” which focused on the topics of empathy and bullying. Fall 2014: The pilot program tested how students engaged with three additional features “Francine’s Tough Day” (honesty), “Buster’s Growing Grudge” (forgiveness) and “Arthur’s Giving and Keeping Game” (generosity). During this period, the development of the final interactive “Dear Adil” (learning from others) was in progress. The pilot programs also included the development and testing of the student, teacher, and parent surveys, along with other program evaluation documents. The pilot sessions allowed us the opportunity to revise and implement changes to the interactives and research documents to increase the efficacy of the program. Fall 2015: This school year begins the official launch of the program and research study in in classrooms across Massachusetts. Once the research is complete and the data is collected, the AIM Buddy Project will be available and accessible to educators across the nation. AIM is a collaboration between WGBH Educational Foundation and the Institute for Applied Research in Youth Development at Tufts University and was made possible through the support of a grant from the John Templeton Foundation. Be sure to check back often for updates, current research, photos, and more.